Now that Justice League vs. Suicide Squad is well behind us, speculation regarding DC’s next major crossover event runs rampant. As of today, it appears we’ve been given our first real hints as to what it might be with the announcement of two one-shots set to be published under the title of Dark Days. 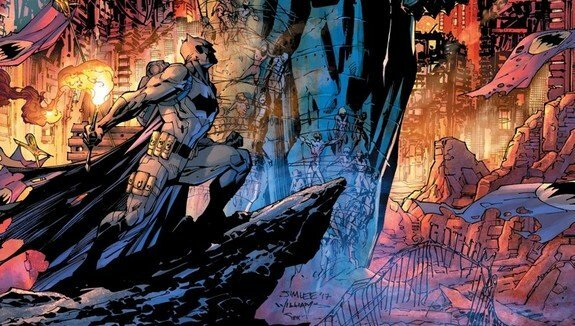 Not long ago, it was reported that superstar scribe Scott Snyder will pen a Batman-centered event that will likely launch late summer, with Greg Capullo returning as his artistic collaborator. Although we can’t confirm the specials today’s conversation is focused on are set to serve as preludes, it sure does seem like the dots are connecting a little too well. 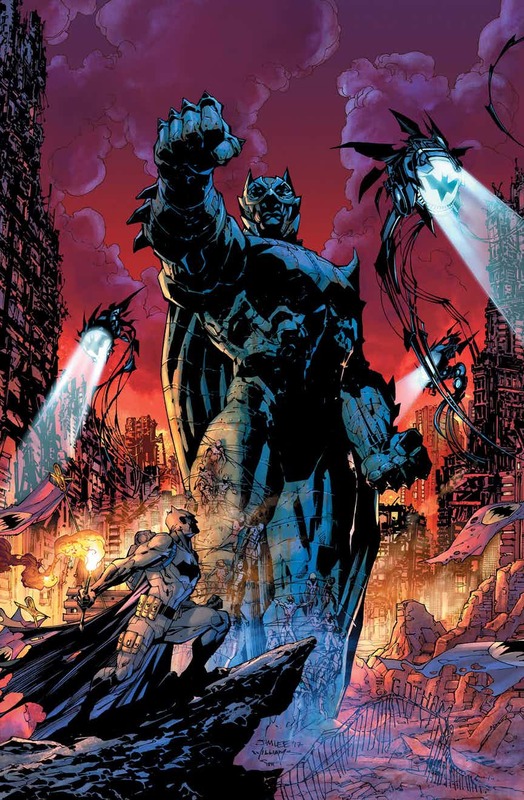 As it so happens, Snyder will be joined by fellow writer James Tynion IV in addition to artists John Romita Jr., Jim Lee and Andy Kubert in order to bring us Dark Days: The Forge #1 on June 14 and Dark Days: The Casting #1 on July 12. According to DC, more information regarding Dark Days will be divulged at panels to be held at WonderCon, Fan Expo Dallas and C2E2 in the coming months, so stay tuned. In the meantime, be sure to check out some promo art that will keep us all guessing until June below.